The buzz around automation is building with experts predicting that it will reshape industries and redefine the workforce. Automation even topped recent discussions at the World Economic Forum in Davos. Automation, in general, isn’t new. It has a long and storied history, from the Mayans automating the movement of water to Henry Ford’s assembly line. Its application to the digital economy, though, is sparking new conversations, especially with the emergence of advanced technologies such as artificial intelligence, machine learning, and the internet of things. Much of the talk so far has focused on how automation will reduce the need for some jobs. Less attention has been given to how automation can be successfully used to help employees do their jobs better and deliver benefits to businesses, their customers and the overall economy. In fact, the greatest impact of digital automation likely will come from the technology assisting, not replacing, employees. These benefits will only be realized when automation is tightly integrated with business processes at all levels of the organization and tailored to different roles within organizations. Most major businesses today already are using some form of digital automation, but its use is in the early stages and the best is yet to come. According to a recent IBM Institute of Business Value report, corporate executives categorize more than half of their organization’s automation as basic process automation—software bots executing predetermined tasks, such as pulling data from a standardized document and inserting it in a digital database. Technological advances will help companies and societies move beyond basic digital automation. Artificial intelligence is rapidly evolving to better identify, understand, and extract insight from zettabytes of unstructured data, such as video and natural language. This means automation can help with more complex tasks and content, like automatically generating video clips on key topics from hours of footage or predicting faults on a production line before they even occur. The technological hurdles, however, are only one challenge. The bigger challenge is adopting a new strategic approach to using automation. Jobs in an organization vary greatly. Automation can only help by being customized for those different jobs and made accessible to the employees who know best how to do those jobs. Just think about different roles within a financial services firm. Customer service reps have frequent interactions with large numbers of customers to answer questions about accounts and enroll them in new services. At this same firm, financial advisors have less frequent but more in-depth conversations to determine client preferences and options for investments. For customer service reps, a software bot could help fill forms and pull account information to handle tasks more quickly. 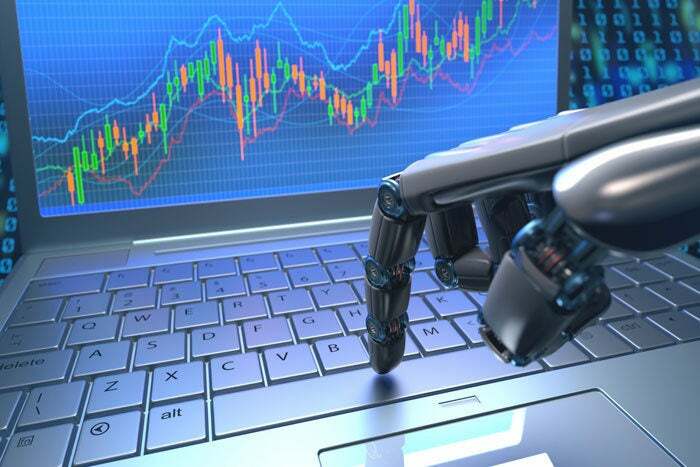 The financial advisors need a different type of automation that can analyze content, such as market trends and investment projections. In both cases, the result is increased efficiency and a more personalized customer experience, but the automation needs to be customized for each role. If companies take this tailored approach, automation has the potential to transform businesses of all industries. At IBM, we are seeing the benefits of automation with our clients. A major bank has significantly reduced the manual reviews needed for loan applications by using IBM’s automation technologies to digitally check loans for compliance with millions of standard business rules. A hotel company is using automation to identify guest preferences, such as room location, ahead of time, cross-reference those preferences with available property features and speed the check-in process on arrival. These examples are only the start of a broader transformation. Just as manufacturing automation continues to evolve well beyond Henry Ford’s assembly line to what many are calling the next industrial revolution, more advanced, intelligent automation will evolve to do more of the heavy lifting in the digital economy. Instead of just filling forms, AI assistants will use machine learning to understand and learn from data, test hypothesis, make predictions, and suggest new ways to improve and personalize the entire customer experience and streamline business operations from end to end. These new technologies will dramatically change the workplace. Jobs will be changed, and new ones created. The long-term result will be a workforce focused on more creative, higher-value roles. This automation evolution, though, will only take hold with a mindset that reexamines every task and looks to improve that task with technology tailored to the specific need. Automation has to be owned and implemented by each employee to drive results across the entire organization. Mike Gilfix is Vice President of Digital Business Automation for IBM. In that role, he’s responsible for a portfolio of software products and integrated automation platform designed to help businesses automate tasks, manage content and streamline processes.